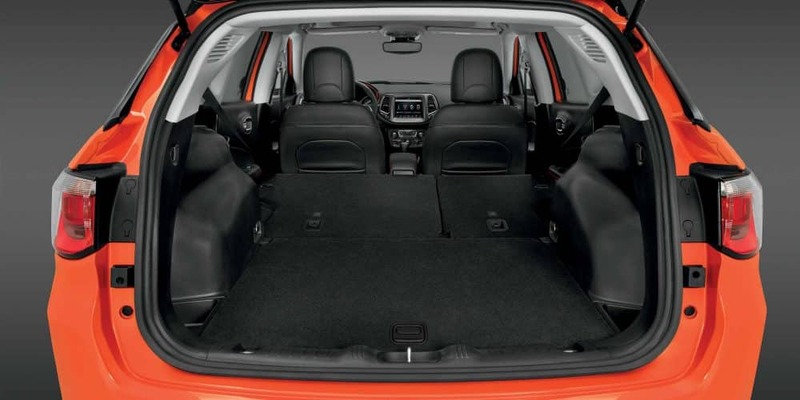 The Jeep Compass, since its introduction, has been redefining what it means to be a small SUV with a big attitude. 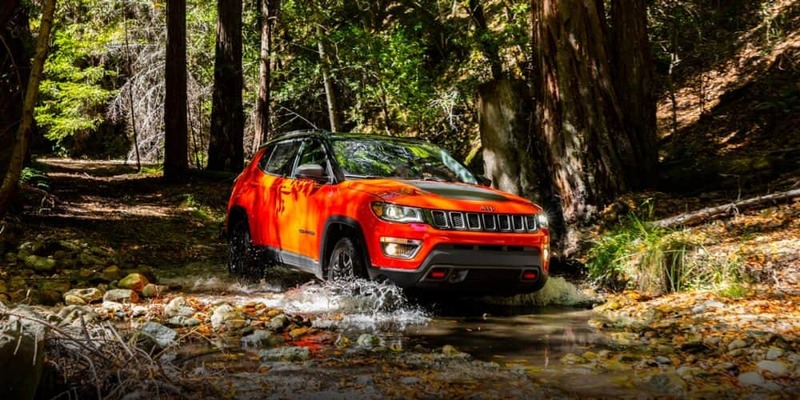 Just by being a part of the Jeep family, the Compass has shown everyone its off-roading capabilities, and it's on the road prowess. 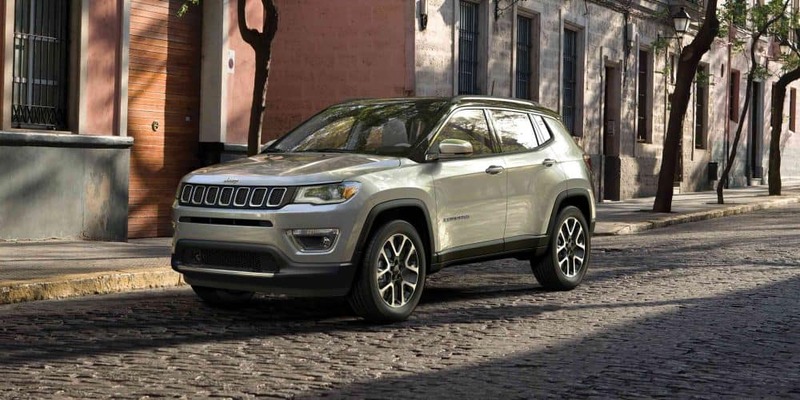 These capabilities only grow in the 2019 model year, as this SUV contains a long list of standard features, a powerful standard engine, and trim levels that are sure to get you excited. 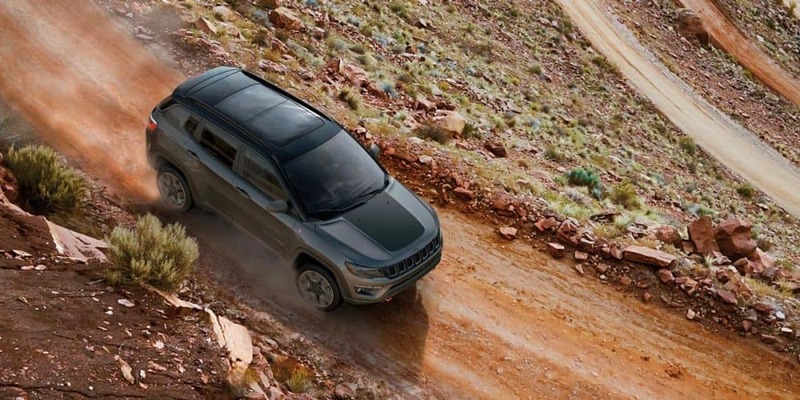 The 2019 Compass is truly the star of the show, and no matter what features you're looking for in an SUV--cargo space, power, seating--the Compass has it all. To learn more about what the 2019 Compass has to offer, keep reading down below! The Compass is a vehicle that should never be underestimated. No matter what you're looking for, the 2019 Compass rises to the challenge. This even holds true with safety. The Compass comes with a long list of safety features, including rear cross path detection blind-spot monitoring, a ParkView rear back-up camera, high-strength steel chassis, seven standard airbags, ParkSense rear park assist, adaptive cruise control, LaneSense lane departure warning with lane keep assist, and full-speed forward collision warning. What model lineup comes with the Compass? By now you've heard plenty of impressive things about the Compass, and one of those impressive aspects is the model lineup. The Compass model lineup includes Sport, Latitude, Limited, and Trailhawk. 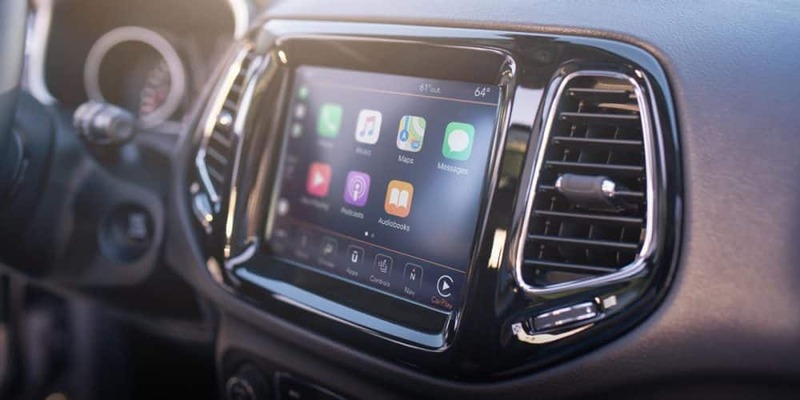 The first of these, Sport, offers features like a Uconnect system, a six-speaker sound system, air conditioning, a seven-inch touchscreen display, a USB port, 16-inch wheels, and Bluetooth connectivity. These are important standard features that many SUVs seem to overlook. If you're looking to add more features, consider something like the Limited. The Limited adds dual-zone automatic climate control, upgraded exterior trim, a heated steering wheel, Android Auto and Apple CarPlay, 18-inch wheels, satellite radio, heated front seats, an upgraded driver information display, an 8.4-inch Uconnect touchscreen, remote start, a power-adjustable driver's seat, and leather upholstery. For something a little more rugged and off the beaten path, consider the Trailhawk model. This model comes with its very own Selec-Terrain system, red tow hooks, 17-inch wheels with off-road-oriented tires, a matte-black hood accent, a raised suspension, and underbody skid plates to help protect things like the gas tank. What engine powers the Compass? You might think it impossible that one engine can be powering all of the different models that are offered with the Compass. 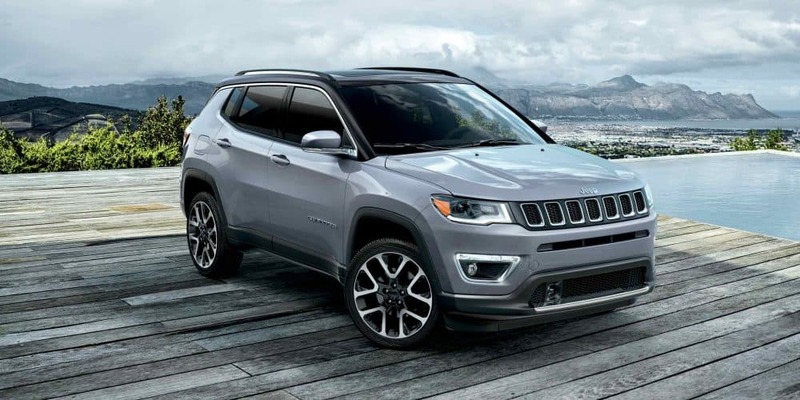 But Jeep understands what it takes for a flexible configuration, and because of this, the Compass' standard engine is up for the job. This standard engine is a 2.4-liter 4-cylinder, which has the capability to create 175 lb-ft of torque and 180 horsepower. That is a lot of power for a small SUV, which means you'll even be able to tow up to 2,000 pounds with the right drivetrain. 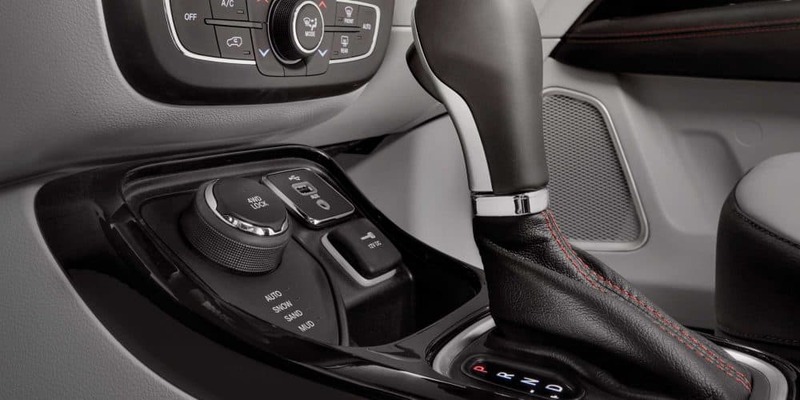 The different transmission offerings including a six-speed manual and a six-speed automatic, while higher models get you a nine-speed automatic. The drivetrains include two-wheel and four-wheel drive. 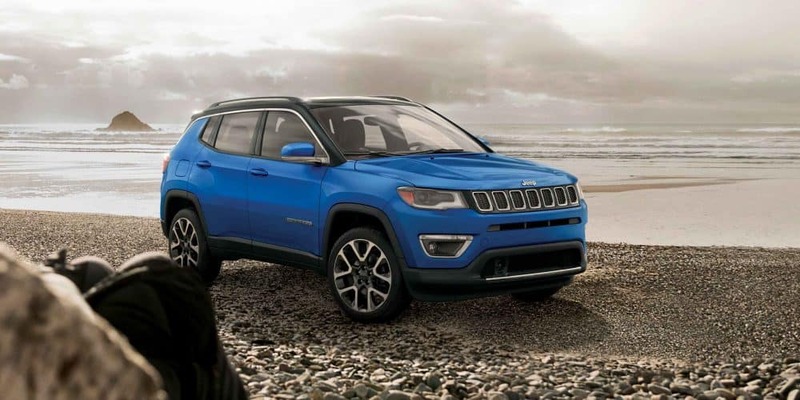 Sporty, capable, and feature-heavy--those are some of the ways that someone might describe the 2019 Jeep Compass. All of those ways are right. There is nothing that this SUV cannot accomplish, and so, we hope you'll stop by our dealership today and try one out for yourself!